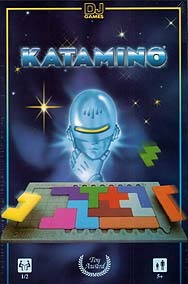 Katamino is an ever-changing puzzle and is a stimulating brain-teaser. It calls on thinking ability and develops observation skills. The aim of the game is to build perfect units called pentas by placing a certain number of pentaminos on the game board. The game becomes harder as the number of pieces used increases. There are thousands of possible combinations.